Banking and Financial Services industry has been a forerunner in adapting and scaling up to the changes as and when they happen in the IT world. It is, thus, no surprise that Digital Transformation has been indicated by the upcoming trends and digital initiatives like Mobile Wallets, P2P transfers, Ping Pay, Omni Channel Banking etc. to be is the future of BFSI Industry. As per Juniper Research, by 2017, more than 1B mobile subscribers (15% of global mobile subscribers) will be using mobile banking. The Banking domain is replete with ever changing and cutting edge technology, with intricate functionalities intertwined into the applications. Being at the center of any commercial activity, it has a huge functional framework spread across Cards and Payment Gateways, Delivery Channels, Specialised service offerings such as Corporate Banking, Centralised Banking, etc. Secure and smooth support for transactions, ease of access, and performance are vital for any banking application to succeed. Omni-channel Banking – With almost everyone getting hooked to the concept of anytime, anywhere banking, financial houses are trying to launch digital only banks – that is, banks without branches. Offering end-to-end functionality of a regular bank on the minimal and highly diverse front-end of a mobile poses a huge challenge. 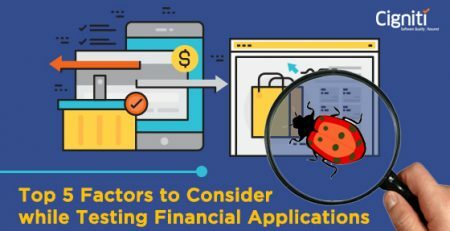 Web Security, Regulatory & Compliance – Banking portals usually are major targets for hacking and fraudulent activities and thereby penetration testing poses a significant challenge. Regulation of Banks became even more critical after the 2008 Banking Crisis as improper functioning of a Bank has a big, negative impact on regular life. Today, banking institutions need to comply with international security standards such as BASEL III or BCBS 239 (addresses the Banking systemic risk and the operational risks of the banks), FATCA and AML (keep vigil on tax evasion and other illegal monetary transactions), SEPA (takes care of cross border payment regulation), and PCI DSS make testing of financial applications very important – and very challenging. Performance Failures – Performance failures in banking portals can have a serious effect on daily life. Meeting the required performance levels involves taking into consideration the infrastructure, connectivity, and integration with the backend. 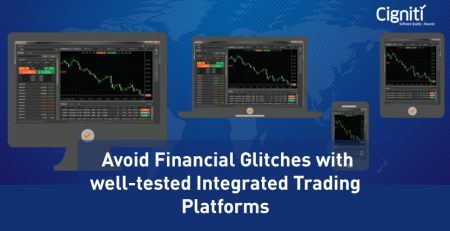 The transaction spikes must be monitored at regular intervals and Stress and Load tests must also be regularly performed to ensure support for multiple transactions at any given point in time. Some other IT trends already showing their impact and presence in the field of finance are Testing Center Of Excellence (TCOE), big data analytics, cloud, and virtualization. Even though these are not very pocket-friendly technologies to be maintained, they are here to stay and will continue to grow. Trying to implement the above mentioned practices require large investments both in terms of expenses and efforts, and a trusted partner can help banks save a lot of money and time in addition to ensuring business continuity and protection. The team at Cigniti Technologies specializes in providing testing solutions to the banking and financial services sector. 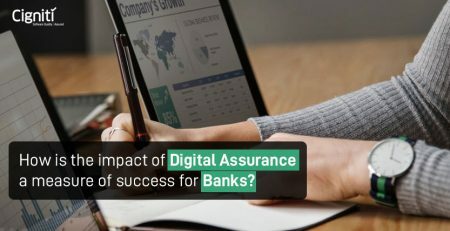 Register for an informative and thought provoking webinar on Apr 13, 11:00 AM EST to learn how you can benefit from the latest test strategies that are being laid out to help you succeed in the digital age to provide world class experience to Mobile Banking customers.